Rather late in the day, and spurred on by the interest of the Dutch government, the French government has finally woken up to the importance of the pair of Rembrandts belonging to Eric de Rothschild that are currently on the market. As reported here, in a previous post, the portraits are of Marten Soolmans and his fiancée Oopjen Coppit. Earlier in the week the Dutch government went public with their plan to acquire both portraits for the Rijksmuseum in Amsterdam. The government has offered roughly Euros 80m with the remaining Euros 80m to come from private donations. Now the French government, who reportedly, along with the Louvre, have already granted export licenses to Rothschild have made a matching offer of Euros 80m for one of the two pictures. Fleur Pellerin, the French culture minister, in a statement, described the bid “as part of joint efforts by France and the Netherlands” to acquire the two works, one for the Louvre and one for the Rijksmuseum. She said funding would come from the “exceptional patronage of the Bank of France,” the country’s central bank. 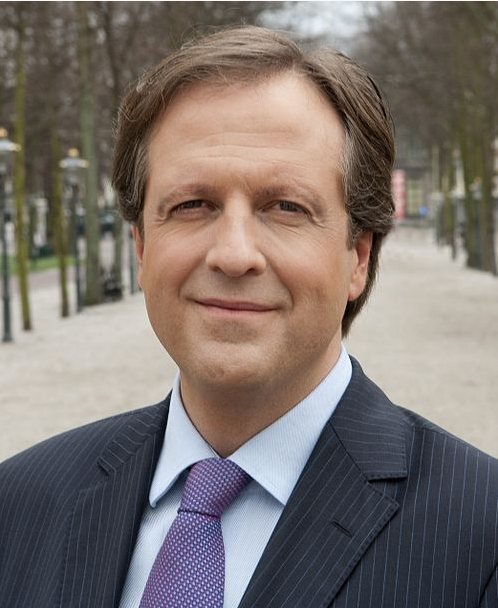 However, in a seemingly contradictory statement, Alexander Pechtold, leader of the Democrats 66 party in the Dutch government since 2006, who has led the Dutch effort to secure the paintings, said that the Rijksmuseum already has an initial sales contract with Mr. de Rothschild for both portraits. Alexander Pechtold, leader of the Democrats 66 party. “We are following the developments with interest,” said Taco Dibbits diplomatically, director of collections for the Rijksmuseum, in a text message reported by the New York Times. Mr. Pechtold said he hoped neither of the works would remain in France. “It’s Dutch heritage,” he said. “It’s nice to see Rembrandts all over the world, but I prefer them in the Netherlands.” However, The Rembrandts are actually part of world heritage and there are plenty of Rembrandts in Holland already. Culture doesn’t necessarily belong in its country of origin and Rembrandts around the world spread the magnificence of Dutch culture in the most elegant type of cross-cultural exchange. What would be wonderful is if the Rembrandts end up in a museum somewhere where they are on permanent public view for the first time since they where painted. They have only been seen publically once, in an exhibition in 1956. And, since Rembrandt painted them as a pair and intended them to be hung as a pair, they should clearly stay together which is why the French offer to buy one only is such a ridiculous compromise. First the French grant them an export license weakening their negotiating position, and giving the paintings the ability to have an international as opposed to within France only valuation, and then they do nothing, and then, panicking after a Dutch offer to buy both, they make an offer for one only. Since the Dutch are trying to buy both and keep them together they should have the best case at present. However, there are now two governments involved in this, and the Dutch have said they have a contract already with Rothschild. The magnificence and rarity of the paintings will probably encourage more buyers to enter the bidding before this is done. The newly minted, and very acquisitive, Gulf Museums should enter the fray if they have anyone down there that understands how important these pictures are. This is going to be an complicated deal and it will be interesting to see where Soolmans and his fiancee end up.